The mission of the David Douglas School District Induction and Mentoring Program is to provide high quality instruction for students by supporting and ensuring the success of our New Educators. Students are at the center of our work. Our goal is to impact student learning by supporting the ongoing development of inspired, dedicated, teachers. 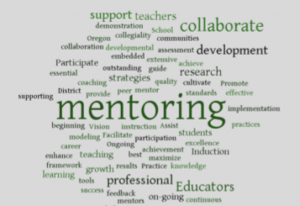 We know learning improves when teacher practice is supported by expert instructional mentors. Our program is based on the required Oregon Mentoring standards and the New Teacher Center framework. We use research based strategies and formative assessment tools to guide beginning educators growth and development as professional educators. New Educators will participate in ongoing job-embedded professional development with their mentor for the first two – three years of employment in David Douglas School District.